The property industry has welcomed new safeguards for financial products designed to be alternatives to rental bonds paid upfront by tenants. Known as commercial guarantees, they will now have to be approved by the Commissioner for Fair Trading after the passing of legislation this week in the Legislative Assembly. Independent Property Management Managing Director Hannah Gill said the increasing popularity of these products, especially in the last year or so, might be a response to an increase in average rents causing pressure on upfront rent and bond payments. Ms Gill said understanding these financial products was important for both tenants and owners. “Understanding the suggested framework and processes supporting any guarantee is vital, to ensure any loss incurred by a tenant or owner is appropriately mitigated and still aligned with legislation. Any steps to safeguard consumers is welcomed,” she said. Ms Gill said the industry welcomed new ideas and processes to make life easier for investors and tenants but urged them to do their homework before taking up these products. “It’s already quite common now for tenants to obtain same day rental bond loans. Tenants and owners both like the option as it enables tenants to move into their new home sooner without taking a hit on cashflow during an already expensive time, and then pay the bond back in instalments over six or 12 months,” she said. She said it gave owners peace of mind knowing their tenant was committed to the property. But Ms Gill warned that these financial models and products won’t be suitable for everyone, especially as the bond repayments usually include some interest on the loan. “I would encourage people to do their homework – both the industry and consumers, to ensure any business they use to take bond payments, or to replace is reliable,” she said. Attorney-General Gordon Ramsay said commercial guarantees may not require a full upfront outlay of cash in a bond, but still may see the tenant having to pay if there is damage to the property. 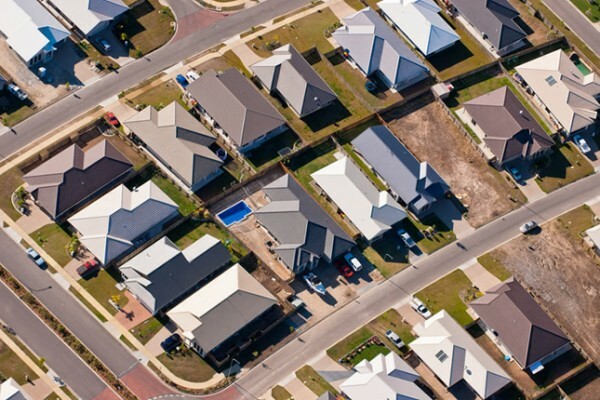 “New products could cut upfront costs for people trying to rent a home in the ACT and we want our community to have access to these emerging choices, providing adequate consumer protections are in place,” Mr Ramsay said. Lessors and tenants should not purchase an alternative to a rental bond, such as a commercial rental guarantee, until the product has been registered by the Commissioner for Fair Trading. He said the application process for businesses developing a product alternative to a bond was still being co-designed with key stakeholders. The Government was consulting with industry and community stakeholders and peak housing, property, legal and community services bodies had been invited to contribute to modelling the regulation. There would be further engagement as the regulations were developed. The new laws will not affect rental bonds or non-commercial arrangements such as those between family and friends. Mr Ramsay said Canberrans who needed assistance with a bond might be able to use the ACT Government’s Rental Bond Loan Scheme. “The Scheme offers up to 90 per cent of the rental bond amount under their tenancy agreement. The bond loans, which are interest-free, are paid back to the ACT Government over 20 months,” he said. More information about the scheme is available by calling Housing ACT on 13 34 27. The Residential Tenancies Amendment Bill 2017 can be viewed online at the ACT Legislation Register. Input can be provided via email, at regulatoryreform@act.gov.au. Tenants can seek advice via the Tenants’ Advice Service on 6247 1026.